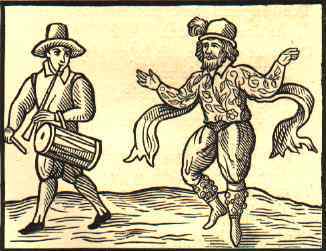 Please join us on Sunday, March 4 at 2pm, for “Love, Lust, Longing… Loss – an Elizabethan Romp” at the Bayport-Blue Point Public Library! “Love, Lust, Longing… Loss” has proven popular with audiences of all kinds, from those who know every John Dowland song by heart to those who have yet to dip a toe into this amazing repertoire. 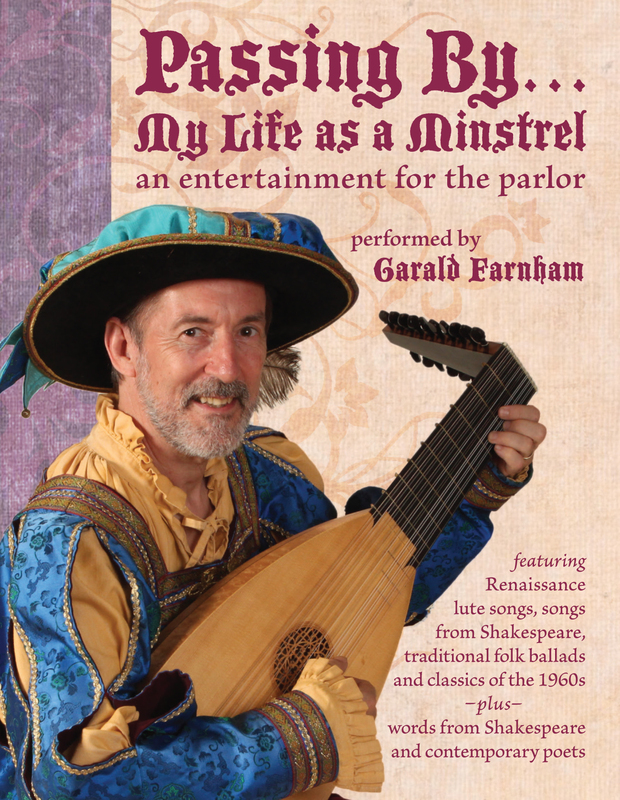 You will come away with a sense of the richness and range of popular music during the Renaissance – from bawdy tales of soldiers and wenches to heartfelt love songs to tongue-in-cheek lovelorn laments and political satires. 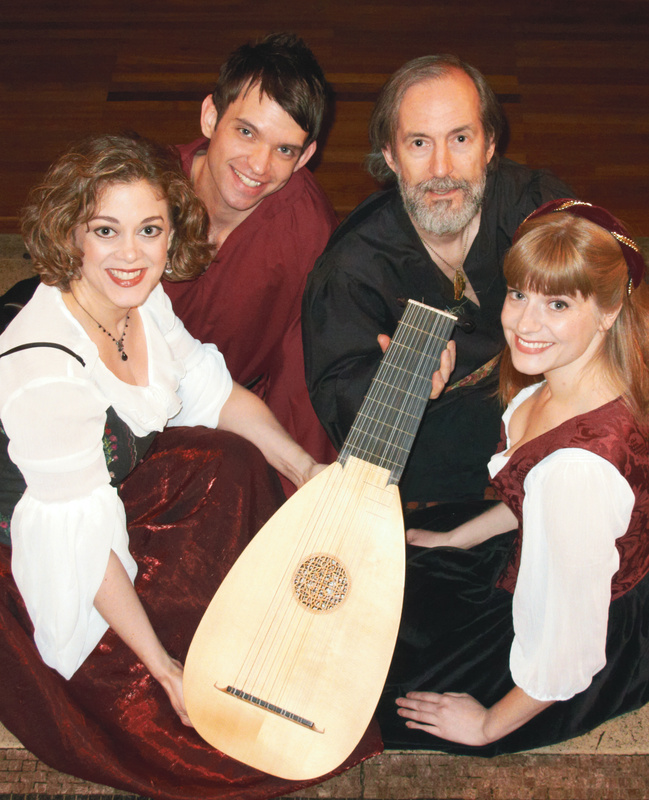 This performance will surprise lute song enthusiasts with fresh interpretations of more “well-traveled” songs, and delight them with rarely-performed gems. 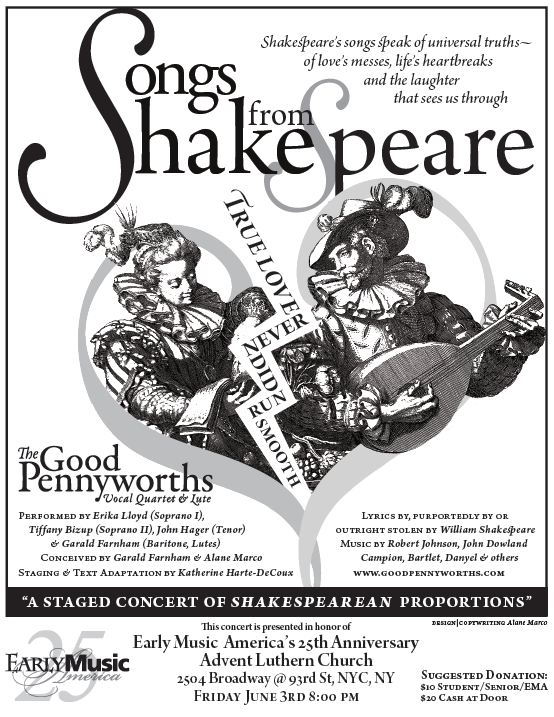 We’ll be reprising the Good Pennyworths’ first concert program with soprano Laura Campbell, mezzo Kirsten Kane and tenor Timothy Joyce, with baritone Garald Farnham on lutes. Details can be found on our Dates page and on the Library’s homepage. For the New York City version of the concert, Garald worked with tenor Christopher Preston-Thompson and soprano Tiffany Bizup once again, joined by lovely mezzo Julia Mintzer. This set of talents brought new musical opportunities to the repertoire. Remember in our Boston Early Music Festival post, we told you that Christopher had taken an interest in the early harp? Well, the NYC concert was his first public performance as a harpist! 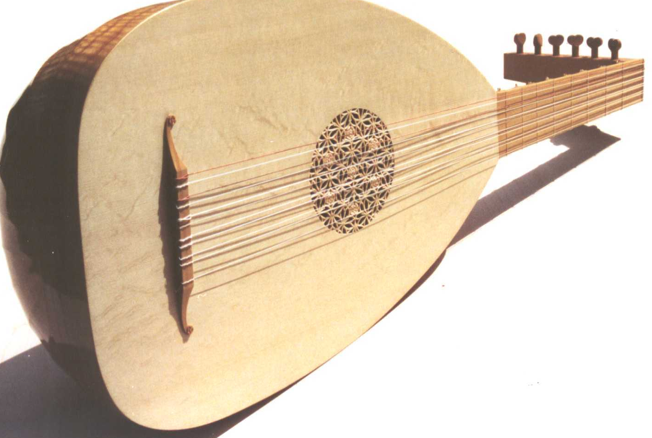 He wrote his own harp arrangement for his solo Veni, veni Emmanuel and added harp accompaniment to Garald’s lute for several other songs. Tiffany Bizup was inspired to break out her flute and added flute obbligato to Patapan and other carols. 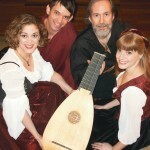 The fuller instrumental sound provided a lovely contrast to our usual a cappella and lute/vocal arrangements. We hope we can continue to spice up our performances with new instrumental additions from time to time. 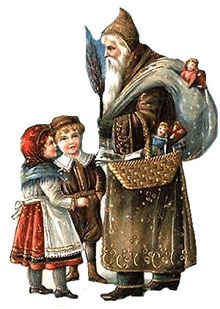 continue reading "Recap: ‘A Pennyworth of Christmas’ in NYC, Dec. 17, 2011"
As part of the Boston Early Music Fringe Festival! More information about these performances on our Dates page ~ Hope you can join us! Please join us if you live nearby. If you don’t, we’d love it if you would pass the word along to friends and family who do. Full concert details are posted on the “Dates” page of the site. 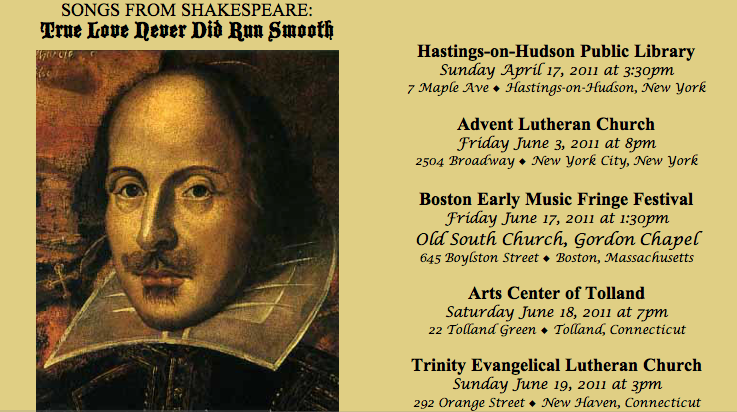 “True Love Never Did Run Smooth: Songs From Shakespeare” – Saturday, March 27th at 3:30pm, Advent Lutheran Church, Bway at W93rd St.
Rehearsals are going well for our new concert, and we’re thrilled to be working with director and Shakespeare Geek Extraordinaire Kate Harte-DeCoux on the staging. Kate did a phenomenal job of choosing the Shakespeare dialog for the show, which thematically connects one song to the next. Kate is the Artistic Director of Mortal Folly Theatre. We’re also thrilled to be working with tenor Christopher Preston Thompson, a talented singer/actor with Shakespeare credits in both opera and theater, who is starting to move into the Early Music genre. For more info on this concert, go to the “Dates” page.